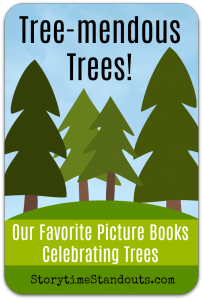 Sharing a selection of picture books about trees has led to some wonderful discoveries. 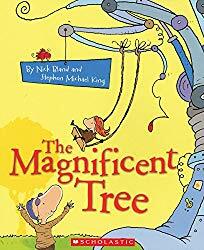 The books we write about are ones that were respectful of trees, some using them metaphorically. Often, they include references to the seasons and to the cycle of life. 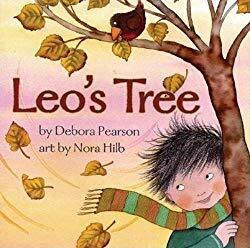 A lovely picture book to share with preschool-age children, Leo’s Tree begins when Leo’s parents plant a tree just after Leo is born. We watch as both the tree and the baby grow, changing through the seasons. 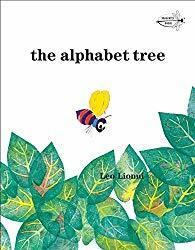 Lovely watercolor illustrations follow Baby Leo, Toddler Leo and, eventually Big Brother Leo, playing nearby as the tree grows tall and strong. 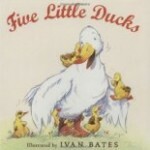 Gentle rhymes, repetitive text, and alliteration all contribute to a rich text that will appeal to young children. Beautifully illustrated and richly told in a storyteller’s voice, it is easy to imagine hearing this tall tale while sitting fireside on a winter evening. Harlan Burch lived in Appalachia long ago. He worked as a carpenter and spent time in the woods, choosing trees for his projects. Apart from cutting trees down, he also planted them – replacing each one that he cut with two saplings. 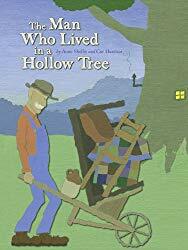 One day, he came across a sycamore that was so large, there was room enough inside for Harlan to create a comfortable home. Not long after moving into the sycamore, something strange happened. It was as though time had stopped and reversed. Harlan became more and more youthful. He soon married and had a family. 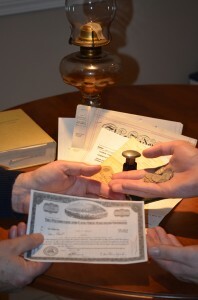 The family thrived and grew, eventually populating all of Appalachia. 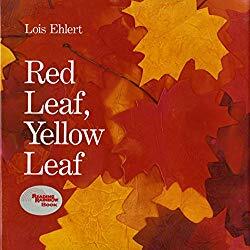 Featuring dazzling collage illustrations, great for a group setting/read-aloud, Red Leaf, Yellow Leaf shows readers real maple tree seeds (samaras), burlap, twine, wire, plant tags, and tree roots. Beautiful Fall colors are highlighted in the cover art and elsewhere in the book. The main text is large and tells the story of the origins of a maple tree, from the moment a seed falls in a forest through transfer to a garden center and eventual planting in a garden. In addition to showing readers the tree growing from seed to sprout to sapling, the illustrations also include unobtrusively labeled creatures that might live in and around a tree (squirrels, birds, earthworms) as well as other details that will promote learning. A four-page appendix provides background information that will be helpful to young scientists and inquisitive researchers. An outstanding resource for kindergarten and primary-grade classrooms or for homeschool. Tess loves the tree in her yard. She loves to sit under it and read, she swings from it and, in Fall, she plays in the leaves beneath it. On dark, blowy night, two of the large branches are damaged and fall to the ground. There is no choice, the old tree must be taken down. Tess’s emotions are strong. She is angry and sad. She knows that she must do something to honor the tree. She plans a funeral service to celebrate the life of her tree. It is not long before Tess learns that the tree is not just hers. There are others for whom the tree was important. 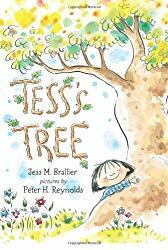 Tess’s Tree provides an opportunity to explore important themes of love and loss with children. I have read some reviews that suggest that the story ought to have ended with Tess planting another tree. My personal perspective is that might be an obvious “solution” to Tess’s grief, in some ways, this particular tree was irreplaceable. Much like the loss of a friend, family member or pet, dealing with loss is not always as simple as finding a replacement. Tess’s appears to be part of a single parent family. Tree theme interlined paper for beginning writers. Since September 2013, I have been working twice a week with a four year old boy who has delayed speech. He lives in a bilingual household and he has one older sibling – a girl who also had delayed speech. It has been enormously rewarding to help this child find his voice. He is unfailingly happy and is always excited to welcome me and my “bag of tricks” into his home. 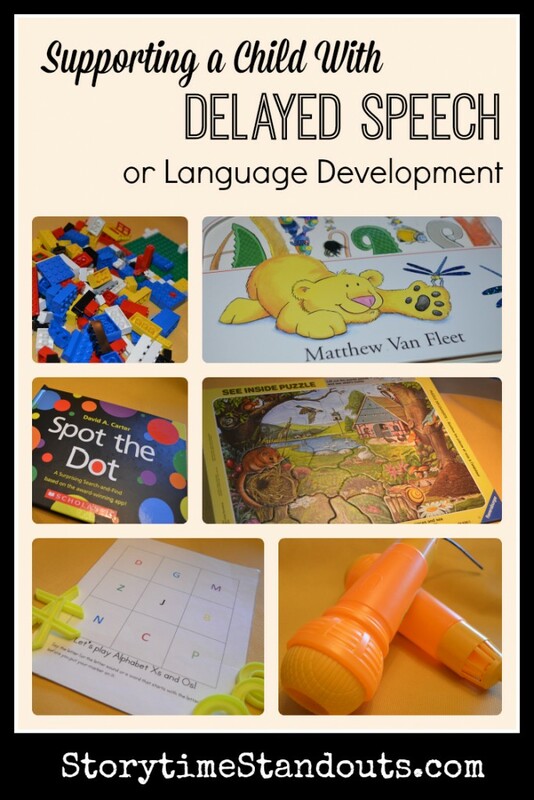 Here are some of the items that have been particularly helpful as we find ways to engage him verbally. Alphabet by Matthew Van Fleet has been our go-to alphabet book. At almost every one of our sessions, my student has touched, lifted flaps and pulled the tabs of this cheerful and engaging alphabet book and accompanying (pop up) poster. Whether feeling the alligator’s scaly tail or the yak’s shaggy head, this is a book that children love to explore through touch. Phonemic awareness is also supported as the author effectively uses alliteration, ‘Wet waddling Warthogs,’ rhyming and onomatopoeia, ‘Furry Lions roar, Whiskered Mice squeak, Hungry newborn Nightingales – cheep, cheep, cheep!‘ while introducing a variety of animals. Older children will notice that extra details have been added to the illustrations but not the text. Termed, Safari Sightings, these animals and plants are illustrated and listed in an afternote. 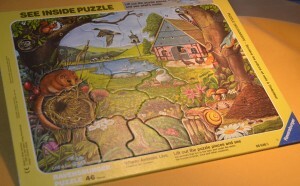 I can’t tell you how many times we have solved this Ravensburger See Inside Puzzle together. My young student happily turns the puzzle upside down, and together we turn all the puzzle pieces over. We chat as we start with the corners and work towards the middle of the puzzle. There are so many ways to enrich a child’s vocabulary, understanding and problem solving as we talk about the puzzle pieces and their attributes while noticing the plants, insects, animals, birds and structures featured in the puzzle itself. Rather than focusing on the enunciation of specific sounds or words, I want to encourage playing with sound and making a variety of sounds. 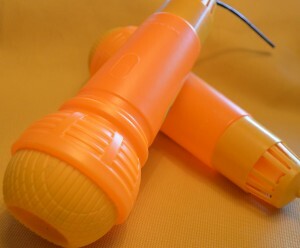 It is amazing how an inexpensive plastic toy ‘Echo’ microphone can encourage a child to sing, make sound effects and speak. I pick up an Echo Mic and put the other one on the table. Before long, we are both singing The Alphabet Song or The Wheels on the Bus or Happy Birthday. I hate to think what we sound like but progress is progress and the plastic ‘Echo” microphone has helped us along the way. As we work toward improved verbal communication, I want to ensure that my student has a rich listening or receptive vocabulary as well as a large speaking or expressive vocabulary so I want to provide him with repeated meaningful encounters with words. I want him to hear and know colors, numbers, positional words (over, under, beside, inside) and nouns (windows, doors, wheels, roof, trees, flowers, bricks, fences, house, car, truck, steering wheel). Of course, I turn to my favourite toy. Ever. Each day I arrive with a bucket of Lego . 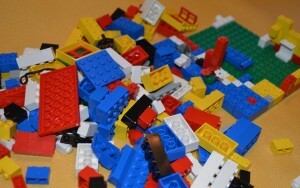 We build houses and towers, we look for small bricks and blue bricks and yellow, white, red, black and blue bricks. We add windows and doors, stairs and roofs. And I talk about everything we do. I chat constantly and now he chimes in. From the start, we have played Tic Tac Toe. I made a laminated game board (that includes a letter of the alphabet in each square) and I use Xs and Os from a dollar store game. When we first played, his job was to say, “Your turn,” after he played his “O.” Now, he says the letter name in the box and a word that begins with the letter, “C is for Cat.” He also says, “Your turn, ” and “I win!” He has never tired of this simple game. When we first started, he said very little. 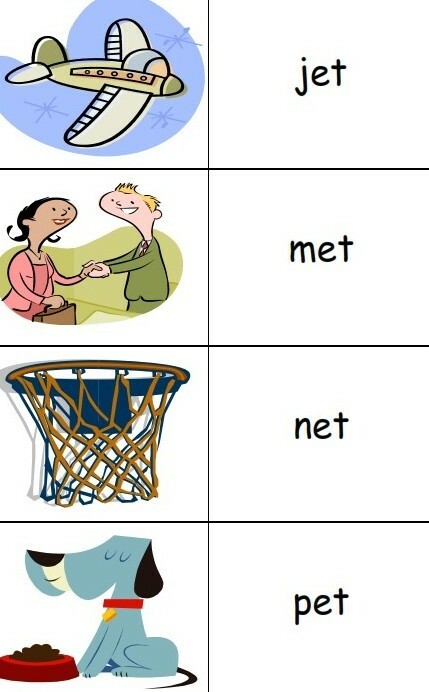 Now, it is a constant exchange of short sentences and the joy of communicating about a shared activity. Spot the Dot is an appealing, brightly colored, interactive pop up book that includes flaps to lift, a wheel to turn and tabs to pull. Visual clues and predictable text encourage children – even those with delayed speech – to venture into ‘reading.’ My student thoroughly enjoys this book and now points to the words as he ‘reads’ each page and then pretends to ‘search’ for the dot. We hope you will enjoy Storytime Standouts’ free early childhood learning printables for preschool, kindergarten and homeschool. Please check our book recommendations for important topics. 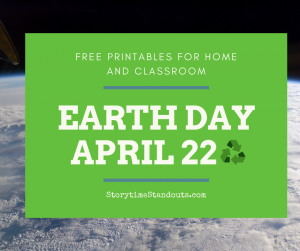 We regularly add new content to Storytime Standouts and we are proud to say that we offer more than two hundred free learning printables for teachers and parents. 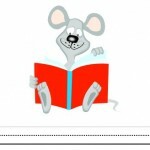 A well, we have written hundreds of posts about special children’s books. picture books that celebrate diversity. 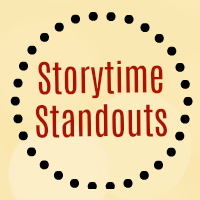 We hope you will enjoy StorytimeStandouts.com and we are especially grateful for referrals. Please let your friends and family know about this website. Storytime Standouts offers a variety of free alphabets in PDF format for children in preschool, kindergarten and the early primary grades. 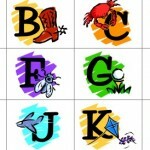 We have grouped the alphabets together and you will find all of the free alphabets here. We suggest using the alphabets to make matching games, help a child to learn alphabetical order and/or letter sounds or decorate a bulletin board. Storytime Standouts offers free writing paper for children who are learning to print and write, visit our Writing Paper for Kids page to see the entire collection. We hope you will use the interlined paper to inspire young writers. We have tried to match seasonal themes and the sort of topics a kindergarten or grade one child might write about. We regularly add writing paper to the website. Use these songs, rhymes, chants and fingerplays with children in preschool, kindergarten and early primary grades. 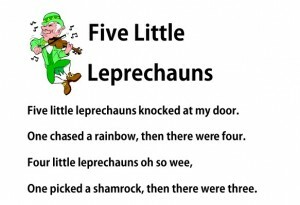 We have grouped them together on our Songs, Rhymes, Chants and Fingerplays page. 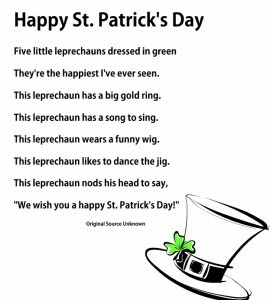 We regularly add new songs, rhymes and chants to the website. 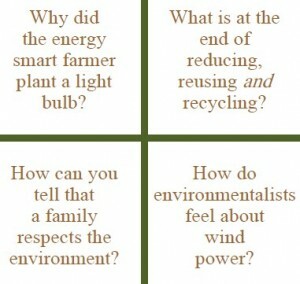 We try to anticipate your interests and early childhood classroom themes. 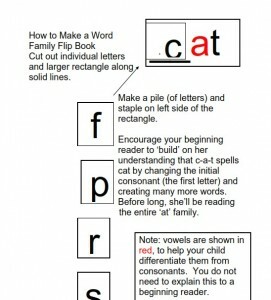 These word family printables are great for young children who are learning to read. We have grouped them together on our Word Family page. For a beginning reader, discovering that cot, dot, hot, pot and rot are related is exciting. Children who are just learning to sound out words will be thrilled to learn that they can substitute the beginning sound and read three, four or more related words. We view word families as a great springboard for beginning readers. Helpful for beginning readers and writers, these picture dictionaries are all together on our Picture Dictionaries page. 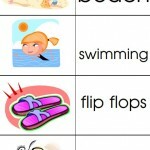 We know young children get a great sense of satisfaction from using pictures to help them decode words. With these picture dictionaries, they can read a series of related words or they use the words to write a story. Green theme interlined paper for beginning writers. 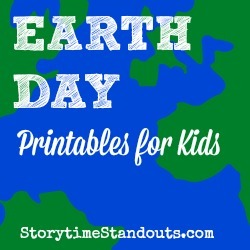 Follow Storytime Standouts’s board Earth Day and Environmental Awareness for PreK and Kindergarten on Pinterest. 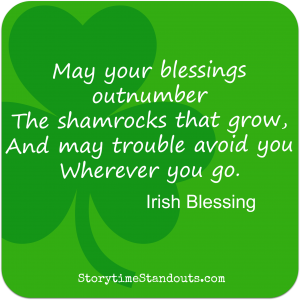 Our free early learning printables, including our free St. Patrick’s Day printables are in PDF format, if you don’t already have Adobe Reader, you will need to download it to access the free printables. Good fun for a St. Patrick's Day circletime. 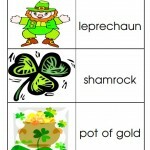 St. Patrick's Day theme interlined paper for beginning writers. Storytime Standouts offers writing paper for (almost) every occasion, check out the entire collection by visiting our Writing Paper For Kids page. 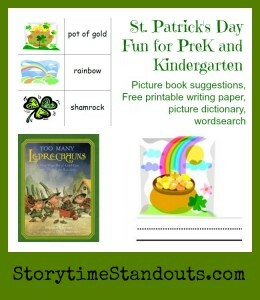 Free printable St. Patrick's Day picture dictionary for readers and writers in kindergarten and grade one. 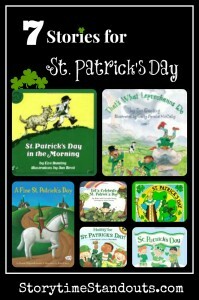 Follow Storytime Standouts’Board: St. Patrick’s Day Fun for Kids on Pinterest. All of our early learning printables, including these Christmas-theme printables are in PDF format, if you don’t already use Adobe Reader, you will need to download it to access the files. 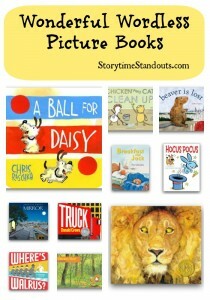 Many of our free preschool and kindergarten printables are available to Storytime Standouts members only. To become a member of the website, please click on the “Members” tab and register as a user. You will find our entire selection of printable alphabets here, our writing paper for kids here and all of our preschool, kindergarten and teacher printables here. You will find our posts about special Christmas books here. 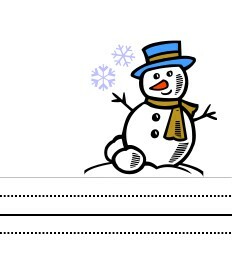 Christmas theme interlined paper for beginning writers. 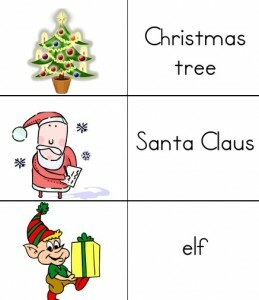 Free printable Christmas picture dictionary for readers and writers in kindergarten and grade one. We love pulling together free preschool and kindergarten printables for young children to enjoy. We have many free Halloween, Thanksgiving and Fall theme kindergarten printables and hope you will check them out. Young children love our colourful Fall theme writing paper and those who are just starting to read and write will have fun with our Fall and Halloween picture dictionaries. Our early childhood literacy printables, including our free Fall kindergarten printables are in PDF format, if you don’t already use Adobe Reader, you will need to use it to access the downloads. Back to school theme interlined paper for beginning writers. Fall, scarecrow theme interlined paper for beginning writers. 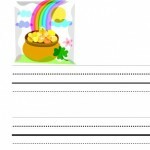 Halloween, Witch theme interlined paper for beginning writers. Apple theme interlined paper for beginning writers. 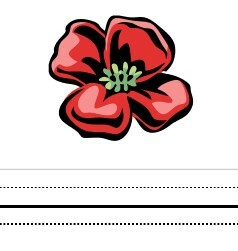 Remembrance Day theme interlined paper for beginning writers. Thanksgiving theme interlined paper for beginning writers. Squirrel theme interlined paper for beginning writers. Free printable Thanksgiving picture dictionary for readers and writers in kindergarten and grade one. For children who are beginning to read and write, our free Halloween and Fall-theme picture dictionaries as well as pumpkin and witch writing paper. 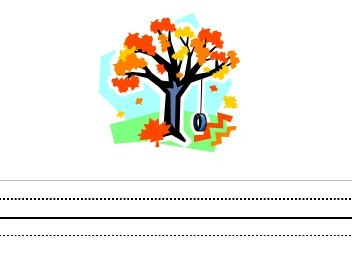 Free printable Fall picture dictionary for readers and writers in kindergarten and grade one. 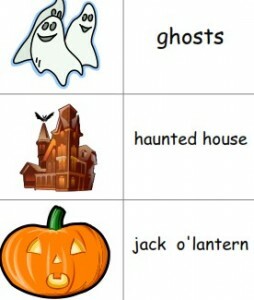 Free printable Halloween picture dictionary for readers and writers in kindergarten and grade one. Follow these links for lots more interlined paper, rhymes and picture dictionaries. What could your child tell you about this picture? Would she say that it is Fall? Would she predict that the family is choosing a pumpkin for Halloween? Two of the components of a child’s reading readiness are her comprehension and her interpretation. We can assist a preschool or kindergarten child with reading readiness by providing opportunities for him to read pictures and interpret them, including understanding the sequence of events. Reading and interpreting pictures includes noticing what is in the picture, what the characters are doing, the weather or time of day and other details (i.e. the color of a character’s clothing). A child could be asked to interpret the scene and confirm comprehension by telling or retelling the narrative. For the first picture, we could ask questions such as what do you think these people are doing? or why do you think the man is pushing the wheelbarrow? 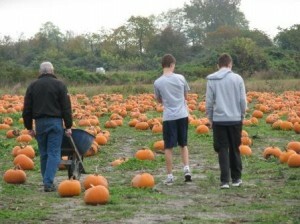 or Why do you think these people are visiting a pumpkin patch? How would your child interpret this picture? Would your child notice the old oil lamp? Why does one man have gold coins in his hand? or Do you see anything that looks usual in this picture? Wordless picture books are great tools for helping children to develop good comprehension and interpretation skills. We invite you to visit our Wordless Picture Books page to discover why great wordless picture books make narratives easily understood. Once a child has ‘read’ a wordless picture book with an adult, he should be encouraged to share the book with someone else. Making an opportunity to reconstruct and retell a story is valuable for a young child because reconstructing and retelling a story is a way to confirm comprehension. 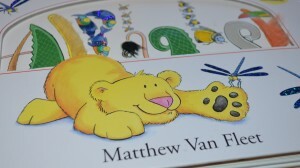 Children who have learned to ‘read’ and ‘interpret’ pictures will benefit from sequencing activities. 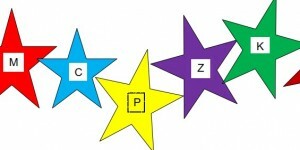 These provide children with the opportunity to ‘read’ pictures and determine the correct order of events. Here are links to three printable sequencing activities from my website and three from elsewhere on the internet. Cut this Valentine's Day Sequencing Activity apart and have children put it together in the correct order or print two and use as a matching game. For additional information about comprehension and reading readiness, follow this link to our page about reading comprehension. There are many, many ways to support young readers with these free, printable sight words. 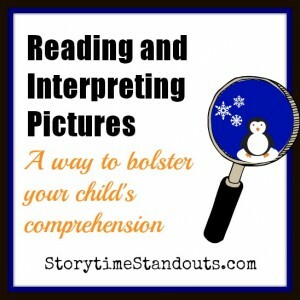 Homeschoolers, classroom teachers and parents will love using them with beginning readers. 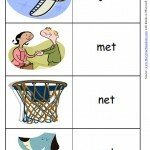 We want all readers to aquire the skills they need to decode unfamiliar words so that most words become sight words. This aspect of learning to read is also referred to as aquiring ‘Instant’, ‘Whole’, ‘Look & Say’, ‘Dolch’, &/or ‘High Frequency’ words. We know readers with large sight word vocabularies read more rapidly and more fluently than readers whose sight word vocabularies are small. It is logical that a reader who is able to ‘instantly’ recognize and understand the words he or she reads, will be faster and more fluent than a reader who must often pause in order to decode unfamiliar words. We also know that some English words are not appropriate for ‘sounding out’ – they occur much too often and are not necessarily phonetic (for example ‘there’ does not sound anything like /t/+/h/+/e/+/r/+/e/). Our free early literacy printables, including our sight word printables are in PDF format, if you don’t already have Adobe Reader, you will need to download it to access the printable sight words. You will find our entire selection of free printable alphabets here and all of our early literacy printables here. There are dozens of ways to make learning sight words fun – especially if you have access to colored paper, attractive stickers, cardstock and/or file folders. Adding authentic game pieces (like dice, markers, spinners, and penalties (for example “go back two”) will help to engage your child in the activities. In all likelihood, he or she will be glad to help you create board games, memory games, special tic tac toe squares or bingo cards. Note, we also have sight word dominoes, practice sentences and special PDFs (i.e. 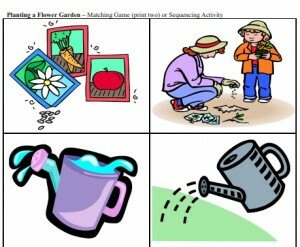 seasonal, vehicles, and activity-related sight words) that include words and pictures. Important Note: Please limit the number of sight words you introduce at any one time – five or ten at most. We have all sorts of goodies lined up for September but thought we would give you a taste today. Our Fall printables include interlined paper (Back to School and Fall themes), a special alphabet, “school” vocabulary and some “Squirrel” goodies. We are currently pulling together our favourite picture books for autumn – colourful leaves, and crisp, cool days are not far away. Our early literacy printables, including our Fall printables are in PDF format, if you don’t already used Adobe Reader, you will need to use it to access the downloads. Please note: some of our early literacy printables are available to Storytime Standouts members only. To become a member of the website (without cost or obligation), please click on the “Members” tab and register as a user. You will find our selection of free printable alphabets here and all of our early literacy printables here. please support this site by visiting and purchasing from Amazon.com or Amazon.ca. 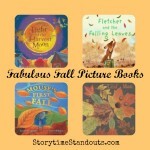 Enjoy these Fall printables and be sure to let your friends and colleagues know about Storytime Standouts. 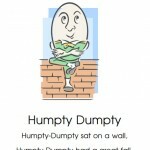 Free printable school picture dictionary for readers and writers in kindergarten and grade one. Today was our second Beginning to Read class and our theme today was “Shoes.” During our storytime, I used felt pieces to tell the story of The Elves and the Shoemaker. This is a traditional story and it has been retold many times. The version that I used was written by Paul Galdone. I explained to the children that, if they visit the library, they might find as many as ten different versions of this story (filed in the Fairy Tale section, J398). If you have a chance, it would be great to find the story at the library and share it with your children. If you can find two different versions, ask them which they prefer. The illustrations and the storytelling will vary. Reading different versions of a familiar story is a great way to encourage your children to think about and compare authors and illustrators. By the way, in each of the classes, the children responded very enthusiastically to the felt story format. They love watching the story unfold and touching the pieces of felt. Using felt pieces is a great way to encourage children to be creative and invent their own stories. Today’s word family was the “it” family – bit, fit, hit, pit, sit, split and quit. In today’s class, we made a word family flip book. These easily made books are very helpful for young readers. They help children to notice that “bit”, “fit” and “hit” are related and, once you manage to decode/read “bit”, it is quite easy to decode/read “fit” and “hit”. Today our tricky words were split and quit. 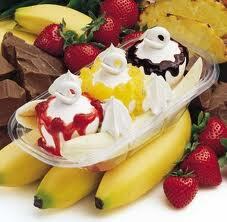 Here is a picture of a Dairy Queen Banana Split. We have many word family printables on this website, follow the link for more information. Today we also did a page about colours. Some of the children are able to read the words, some are not. Just as a gentle reminder, some of early ‘reading’ is actually memorizing. When children offer to ‘read’ a story that they have heard many time, we may be tempted to dismiss their ‘reading’ as ‘memorizing.’ Keep in mind that we want to encourage reading behaviours (holding a book, turning the pages, etc.) and picture clues are very helpful to young readers. Be sure to celebrate your young reader’s success – even when you suspect that s/he has memorized a story. I don’t know if it’s typical for adults to love picture books as much as I do. Many of the adults in my life; my husband, best friend, and co-workers, love them, but we’re all teachers, so maybe it’s just us. However, I think that children’s books are one of the best stress releases ever. The best ones are those that literally make you laugh out loud. For me, this week, that laugh out loud book was Chester’s Masterpiece by Mélanie Watt. I’ve had writers block all week and just happened to read this to my girls and their two friends. I had read Chester, but not his Masterpiece. If you haven’t read either, Chester is a cat that thinks he is much more capable of writing a great book than his creator, Mélanie Watt. In this particular book, Chester appears to be struggling with some writer’s block as well! His was much funnier than mine. He hides Mélanie’s writing tools so she cannot do her work. They have a witty back and forth through post it notes and sketches. Chester tries hard to create a Masterpiece with Mélanie trying to offer him helpful hints and strongly suggesting he return her tools so she can actually get to work. This book is truly funny. I am in awe of authors that can create such rich characters without a lot of back story. I am working on a couple of children’s books myself and I always find myself adding in details that don’t need to be shared. Mélanie’s talent for jumping into the story and attracting you to the larger than life characters is inspiring. You can’t help but love Chester, or Scaredy Squirrel, another of her awesome characters. You jump into these books, laugh out loud, and feel better just for having read them. So, if you need to laugh out loud this week, or just distract yourself from your own writer’s block, pick up a Mélanie Watt book and you won’t be disappointed. If you are spending your weekend at a beach, having a picnic or camping, why not follow-up with a learning activity or two? We offer more than 200 free printable PDFs for all sorts of occasions. 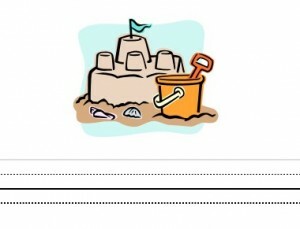 For summer, we want to highlight our sandcastle interlined paper and our beach vocabulary printable. When used together, young writers will be inspired by the vocabulary and will feel confident when writing about a great day at the beach. Free, printable traditional children's song about camping. 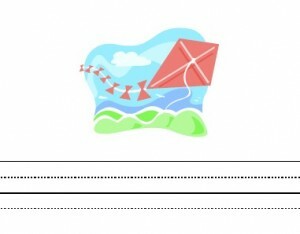 Camping theme interlined paper for beginning writers. 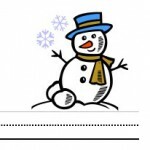 Canada theme interlined paper for beginning writers. Roadtrip theme interlined paper for beginning writers. Sunflower theme interlined paper for beginning writers. Watermelon, Summer theme interlined paper for beginning writers. Follow Storytime Standouts’s board Summer For Preschool and Kindergarten on Pinterest. Here is one of our many free PDF printables for children – a Father’s Day Wordsearch PDF. Enjoy! Our early literacy printables, including our Father’s Day Wordsearch are in PDF format, if you don’t already use Adobe Reader, you will need to use it to access the downloads. Storytime Standouts offers interlined paper for (almost) every occasion, check out the entire collection by visiting our Interlined Paper page. Our early literacy printables, including our interlined paper, are in PDF format, if you don’t already use Adobe Reader, you will need to use it to access the downloads. Interlined paper for beginning writers. Plain, half interlined writing paper for beginning writers. If you appreciate our interlined paper printables, please support this site by visiting and purchasing from Amazon.com or Amazon.ca. We’ve just added three new downloads to the site to help youngsters celebrate Cinco de Mayo, Mother’s Day and kite flying. Cinco de Mayo theme interlined paper for beginning writers. 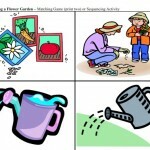 You will also be interested in our new page about gardening with children. It highlights our Planting a Flower Garden sequencing activity and many other great resources for enjoying Spring with young children. Our early learning printables, including our spring theme printables for kids are in PDF format, if you don’t already use Adobe Reader, you will need to use it to access the downloads. 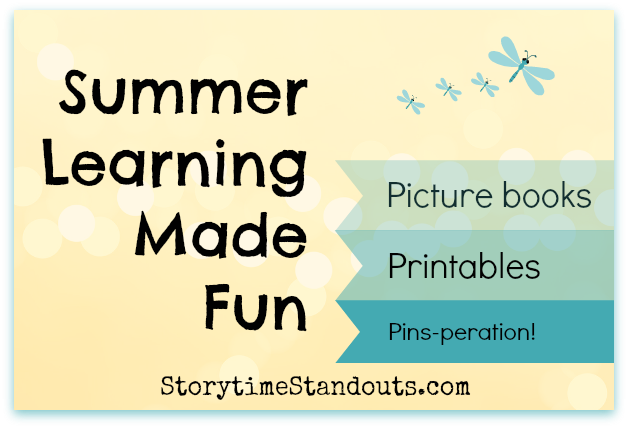 Some of our early learning printables are available to Storytime Standouts members only. To become a member of the website, please click on the “Members” tab and register as a user. You will find our selection of free printable alphabets here and all of our early learning printables here. If you appreciate our early learning printables, please support this site by visiting and purchasing from Amazon.com or Amazon.ca. 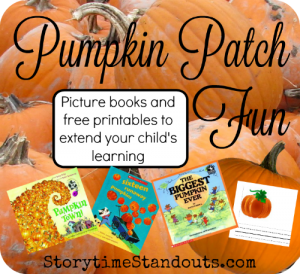 We offer almost two hundred free early literacy printables on Storytime Standouts. Today, we decided to feature our free word family printables. These are available for website members*. There is no cost to become a member, simply sign up and you will have access to all of our free downloads. 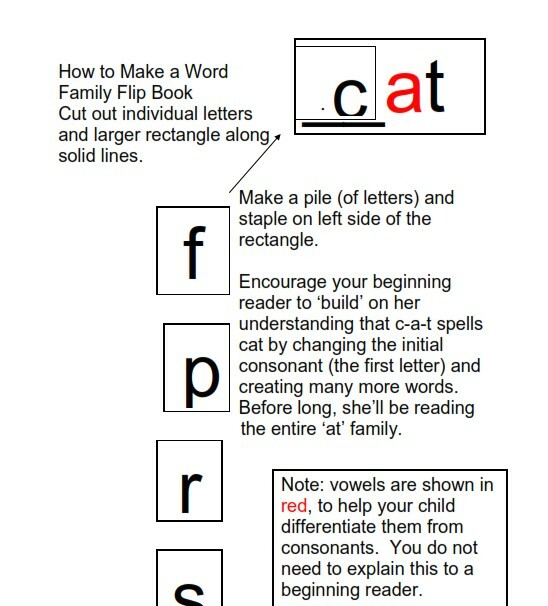 Our early literacy printables, including our word family printables are in PDF format, if you don’t already use Adobe Reader, you will need to use it to access the downloads. You will find all of our early literacy printables here. If you appreciate our free word family printables, please support this site by visiting and purchasing from Amazon.com or Amazon.ca. We have twenty (two page) printables, each showing words and pictures for one word family. Print the PDF (I prefer printing onto cardstock), laminate if you wish, and use with beginning readers. Free - all word family printable for young readers in kindergarten and grade one. Free -an word family printable for young readers in kindergarten and grade one. Free -ap word family printable for young readers in kindergarten and grade one. Free -at word family printable for young readers in kindergarten and grade one. Free -ed word family printable for young readers in kindergarten and grade one. Free -ell word family printable for young readers in kindergarten and grade one. Free - ig word family printable for young readers in kindergarten and grade one. Free -ip word family printable for young readers in kindergarten and grade one. Free -it word family printable for young readers in kindergarten and grade one. Free -og word family printable for young readers in kindergarten and grade one. Free -op word family printable for young readers in kindergarten and grade one. Free -ot word family printable for young readers in kindergarten and grade one. Free -am word family printable for young readers in kindergarten and grade one. Free -en word family printable for young readers in kindergarten and grade one. Free -et word family printable for young readers in kindergarten and grade one. Free -ill word family printable for young readers in kindergarten and grade one. Free -ock word family printable for young readers in kindergarten and grade one. Free -ub word family printable for young readers in kindergarten and grade one. Free -ug word family printable for young readers in kindergarten and grade one. Free -est word family printable for young readers in kindergarten and grade one. We also offer ten word family flip books and printable (how to) instructions. Free printable Word family flip books, a great learning resources for children in kindergarten, grade one and for homeschooling families. We’d love to hear about how you use these printables with young children. *Please note, membership is absolutely free. When you sign up, you will be given an option to receive our newsletter. If you don’t want to receive the newsletter, you won’t receive any emails from this site. We promise. 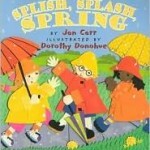 Be Sure to Read About Spring Too! These are just a few of many free printable writing paper downloads available on this site. Please be sure to check out our Writing Paper for Kids page for many more. Spring theme interlined paper for beginning writers. Plant theme interlined paper for beginning writers. Garden theme interlined paper for beginning writers. Hover over the photo for a description. Click on the photo to link to the post. 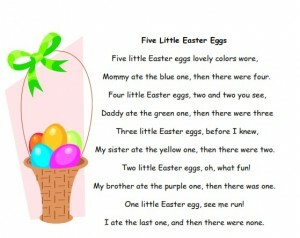 Adapt these Spring and Easter theme chants and poems as felt board activities and/or use them at preschool or kindergarten circle time. Free printable chant about planting a seed. Great for preschool and homeschool. 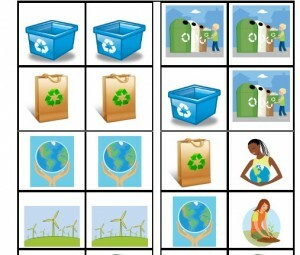 Our free vocabulary printables are great and so versatile. Print onto cardstock. Laminate if you wish. 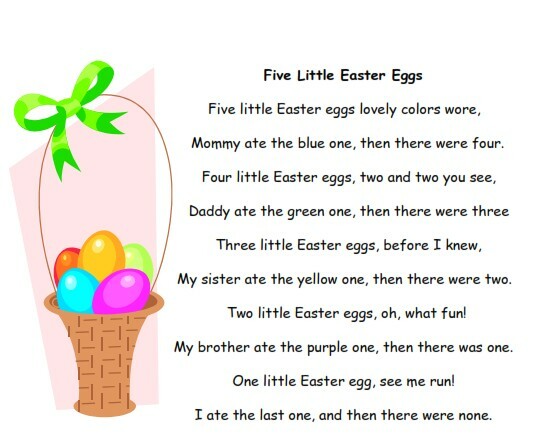 Then, cut apart and create a matching activity or encourage your child to “read” the words (using picture clues). As well, beginning writers love to practice printing the words. You can create your own categorized picture dictionary if you print more than one. We have many available. 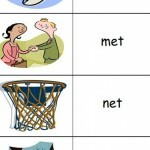 Check out our Picture Dictionaries page. Free printable Spring picture dictionary for readers and writers in kindergarten and grade one. 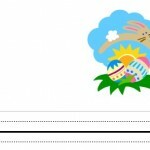 Helpful for children who want to read and write about Easter, this picture dictionary is also suitable for English Language Learners. 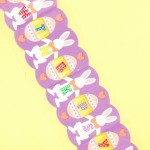 Follow Storytime Standouts’s board Spring and Easter for Preschool and Kindergarten on Pinterest. We would love to hear about great Easter and Spring resources, please let us know what you have discovered! The process of learning to read begins long before children begin kindergarten. Learning to read begins when children are babies. Very young children love to learn new words and they especially like to use their voices to play with sounds. When spending time with very young children, chatting, sharing rhymes and reading aloud all contribute to reading readiness. If we take time to examine what we would like youngsters to know before they start kindergarten, we will be guided in our choices about stories to share and the importance of engaging young children in conversation and wordplay. 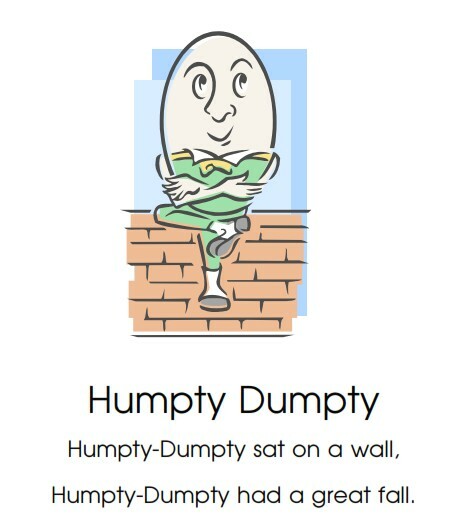 Our free early learning printables, including our nursery rhyme and alphabet printables are in PDF format, if you don’t already use Adobe Reader, you will need to use it to access the downloads. We would also like youngsters to know how to re-tell a favorite story. I suggest ‘reading’ wordless picture books with your child and then ask her to re-tell the story. Dinner table conversation can also be an opportunity to share stories. As well, rides in the car are a great opportunity for storytelling. Hopefully, before starting school, children to know some or even most of the letters of the alphabet. 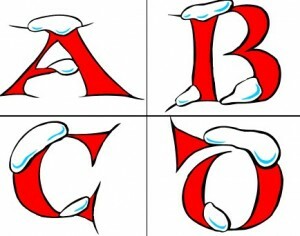 You will find lots of free, printable alphabets on this site for children who are learning to read. 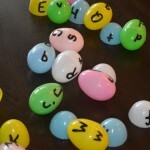 Use the alphabets to create matching and memory games, or an alphabet strip or spell your child’s name with them. Free printable alphabet features a fun caveman for each letter. Free printable alphabet uses bright colours for each letter. Free printable alphabet features a fruit or vegetable for each letter. A printable brush stroke alphabet - great for children who are learning letters. This alphabet can be used in a variety of ways: create an alphabet ‘strip’ or cut the letters apart, mix and then put in ABC order. 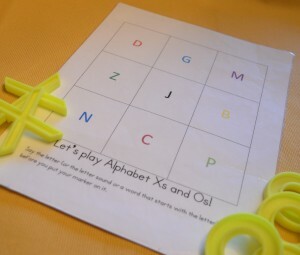 Or, print two sets, cut apart and create an alphabet memory/matching game. A free, printable marching-theme alphabet for preschool, homeschool, kindergarten. Ideally, children beginning kindergarten should understand that letters each have at least one sound associated with them. Help your child to learn this by explaining the sounds made by “P,” “F,” “M” and “S” because these sounds are very distinctive. We’d also like children who are learning to read to understand that books written in English are read from front to back and pages written in English are read from left to right. When enjoying a read-aloud, talk with youngsters about the cover and the spine of a book. Notice whether a book is a paperback or hardcover and point out a book jacket if there is one. Ask your child to open the book and find the title page. 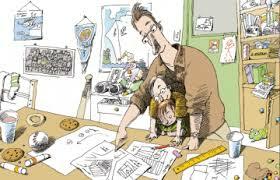 Remember to look for information about the author and/or the illustrator. Once you start to read aloud, casually point out the words you are reading and move your finger from left to right as you read a story. Usually when I read a book that uses LARGE, BOLD letters for some especially great words, I make a point of repeating the best passages and I encourage my audience to “read” the words with me when I read them a second (or third) time! Note: For printable alphabets, The Alphabet Song and activities to help your child learn the alphabet. 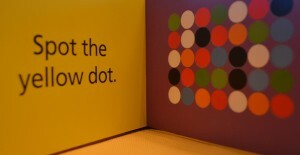 be sure to check out our Alphabet Recognition page. what do you see in Spring but not in Fall? What do you see in both Spring and Fall? The first sign of spring…. 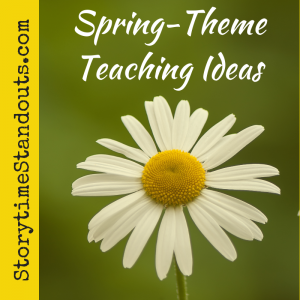 Make a colorful poster and advertise Spring. 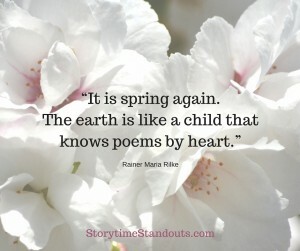 Use words and pictures to explain what is special about spring. 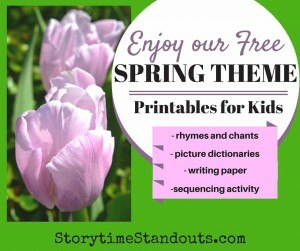 Our free printables, including our kindergarten springtime-theme printables are in PDF format, if you don’t already use Adobe Reader, you will need to use it to access the downloads.